The recent publication of American Paintings at Harvard, Volume 1: Paintings, Watercolors and Pastels by Artists Born Before 1826 (Harvard Art Museums, 2014) is a monumental achievement and makes fascinating reading. Theodore Stebbins, Jr., and Melissa Renn have led a distinguished team of scholars and curators and they are all to be congratulated on the creation of an authoritative reference work. We are pleased to report that five works from the Houghton Library collection are included in this first volume. 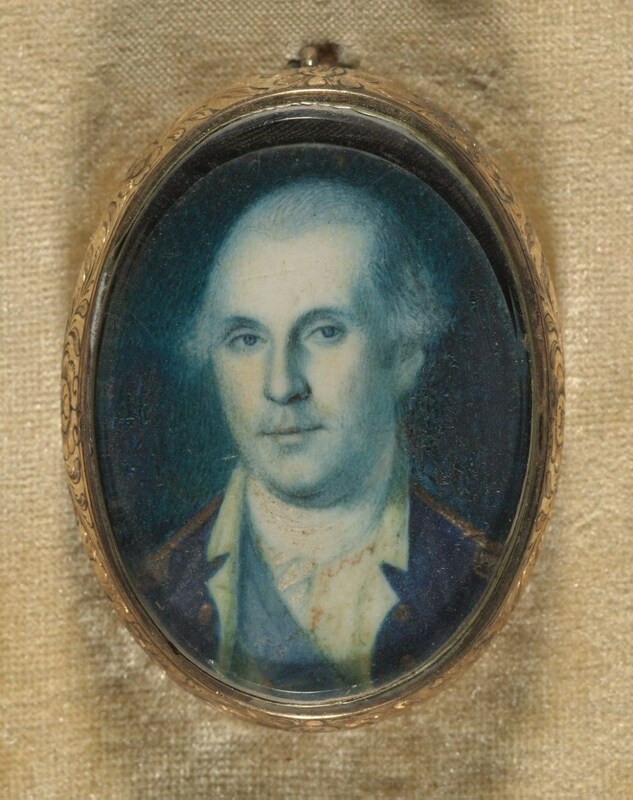 Among them are Charles Wilson Peale’s watercolor on ivory portrait of George Washington, MS Am 1375, and the gift of William B. Osgood Field in 1943 (Catalogue no. 348). 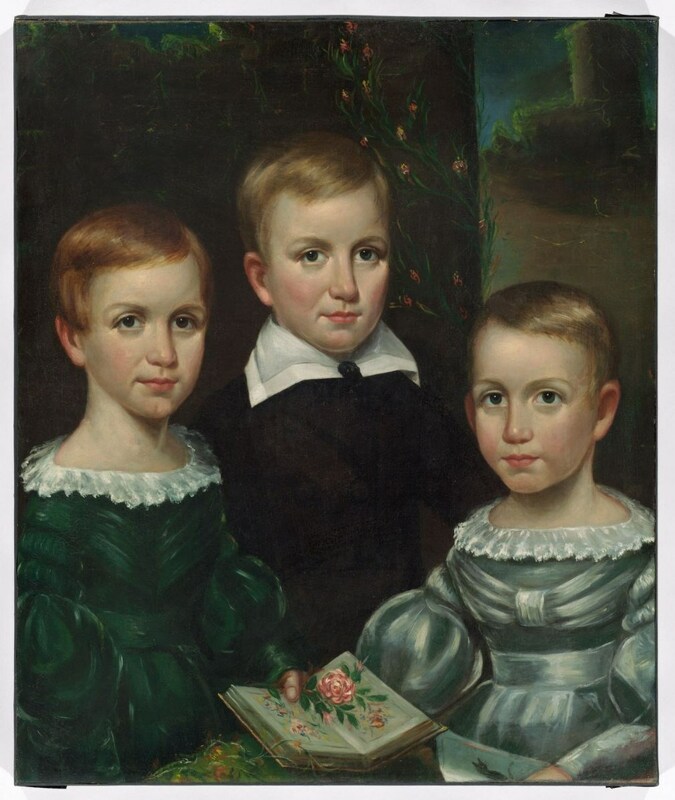 Otis Allan Bullard’s portrait of Emily, Austin and Lavinia Dickinson, the gift of Gilbert H. Montague in 1950 (Catalogue no. 63).